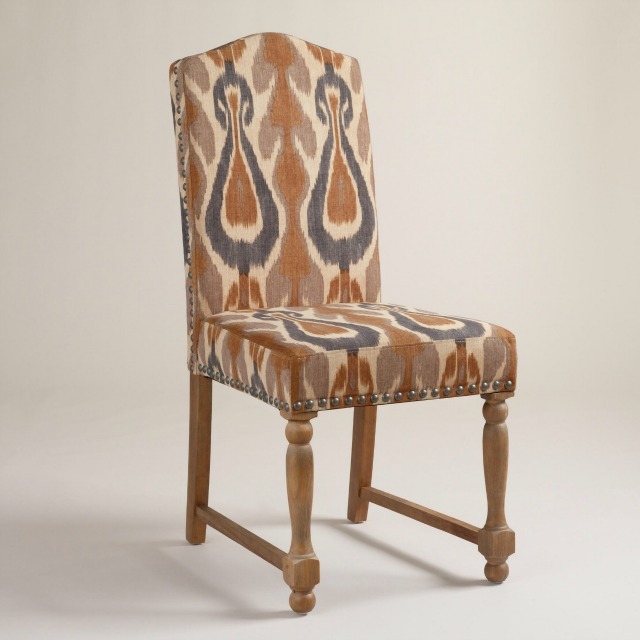 Amber Ikat Walter Chair (World Market) (above) – I just picked this chair up yesterday at World Market on 50% off clearance for $75. We have a little desk area off of our kitchen and I have been looking for a pretty chair for that space. I love the ikat print and thought the colors would work great with our kitchen. The construction isn’t the highest quality, but it’s comfortable so I’ll take it for $75! Madeleine Stained Wood Arm Chairs (Restoration Hardware) – we really liked the metal version of these chairs for our new kitchen table. 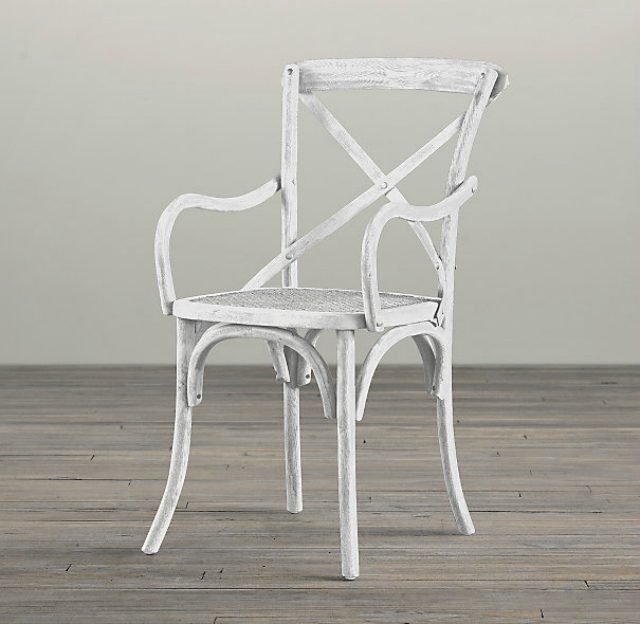 However when we found the same chair in white for almost 75% off ($49 a piece vs. $159) we thought white would be just fine! 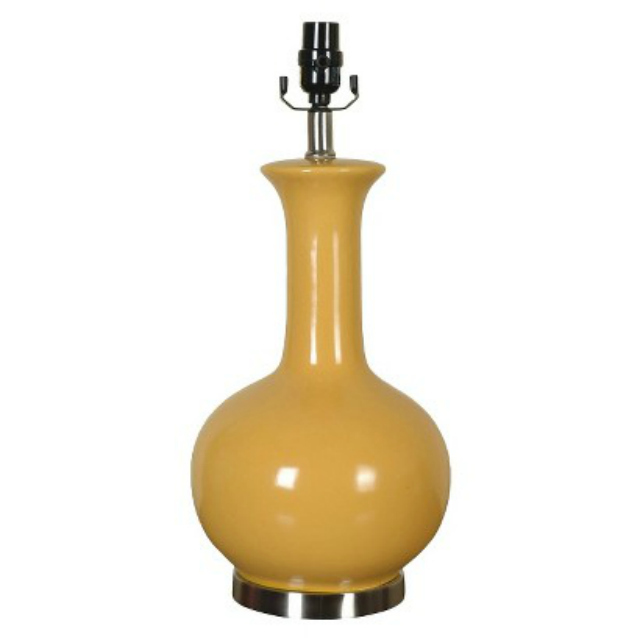 Threshold Yellow Ceramic Lamp Base (Target) – I love colorful gourd lamps but they can be pretty expensive. This pretty lamp base from Target’s Threshold line is a relative value at $39.99. I bought a pair to change up the look of our master bedroom. Tufted Arch Headboard (Home Decorators) A pretty headboard is often a more affordable alternative to a full bed. We bought this headboard from Home Decorators to make our guest bedroom a little extra special. 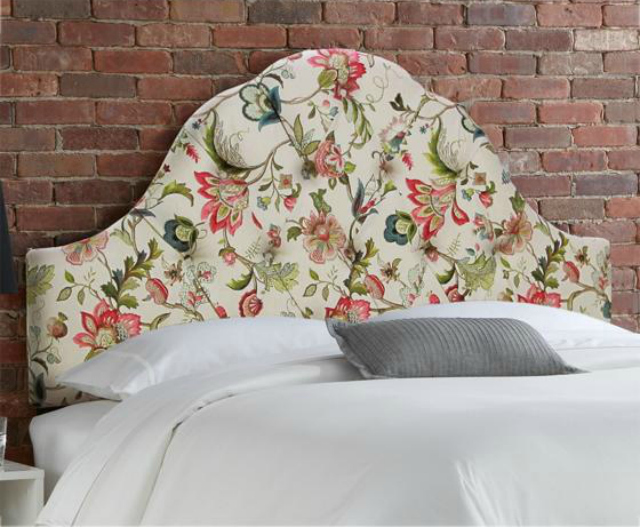 We were able to get the headboard during a 25% off + free shipping sale. 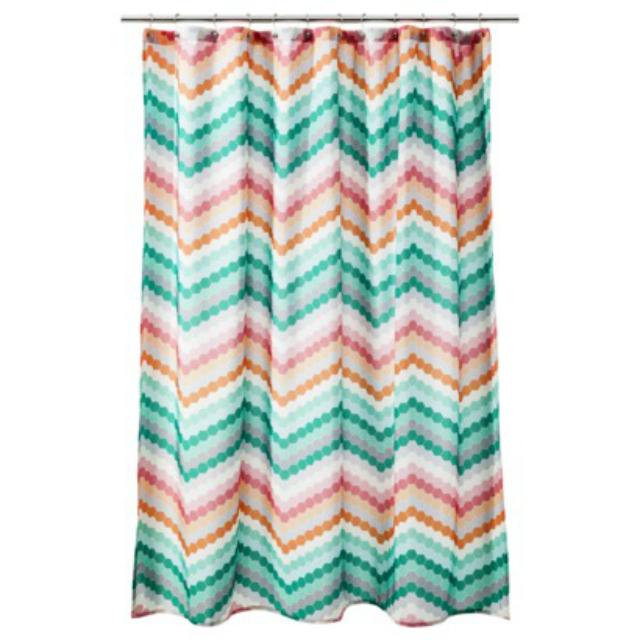 Have you scored any good home decor deals lately?